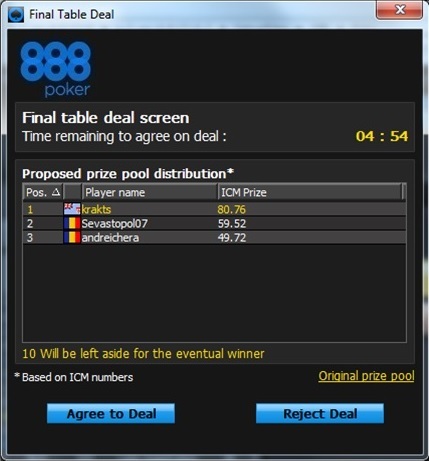 Players that reach the Final Table in a poker tournament can now make a deal and distribute the remaining prize pool according to ICM* instead of the tournament’s predetermined prize pool distribution. 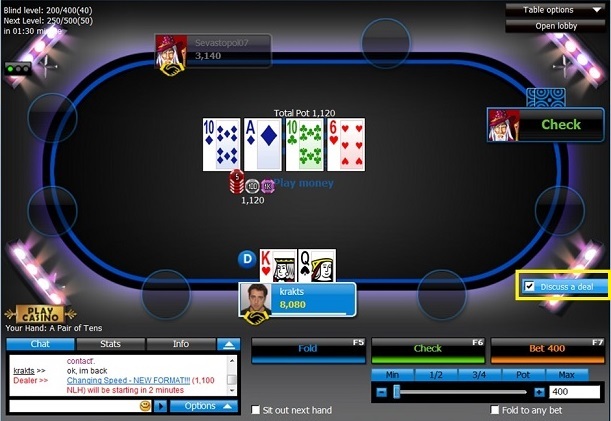 When reaching the Final Table, players will be displayed with a “Discuss a Deal” checkbox. Checking this box will place a deal indicator icon on the player’s plate. 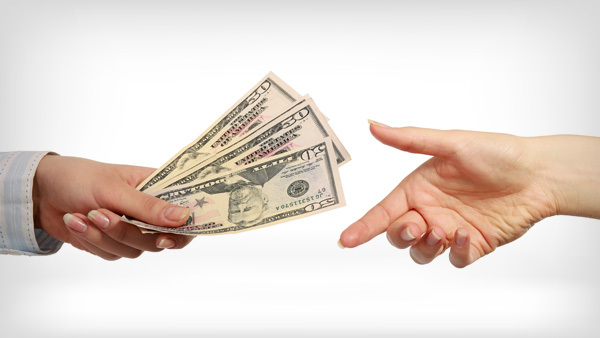 Players will be allocated time to either accept the suggested distribution or decline. If one of the players declines the deal – tournament play will resume. If all players accept the deal, the prize pool will be distributed according to the deal. 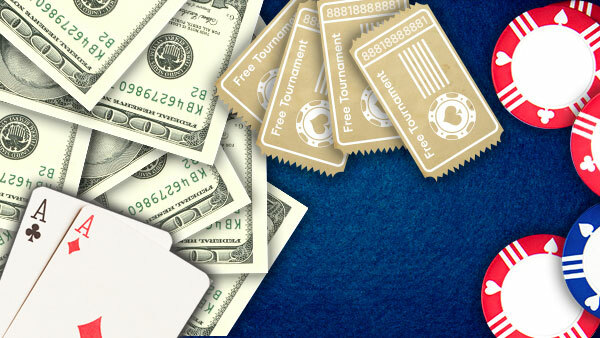 A part of the prize pool can be allocated to the eventual winner of the tournament – In this case, play will resume after the deal and tournament will play down to the winner. If no prize was left aside for the eventual winner, the tournament will be over once the deal is completed. 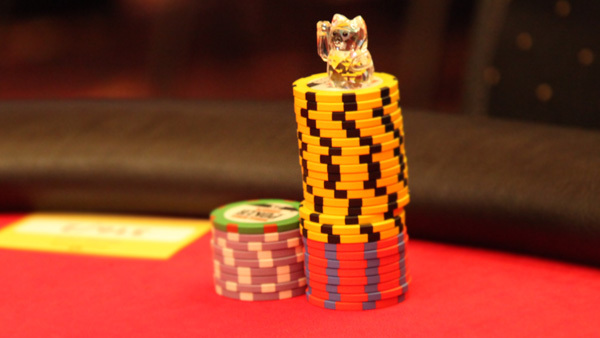 * ICM (Independent Chip Model) - A Mathematical model used to calculate to each player’s probable payout according to their stack size and tournament prize pool distribution table.